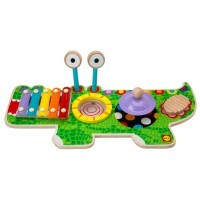 Get ready for some rhythm learning and music performing fun with this 3-in-1 musical instruments set from Alex! 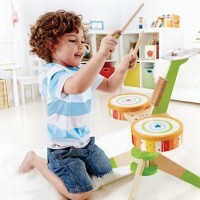 Welcome to the musicians workshop for the youngest players! 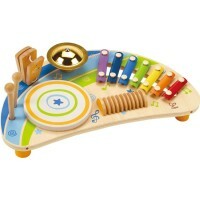 This music playing toy by Alex combines 3 popular kids musical instruments in one My Music Band Set 3 Toy Musical Instruments Set. 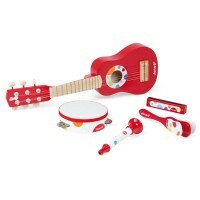 With this toy musical instruments set your child can be ready for their first band concert, or have a one-man show! 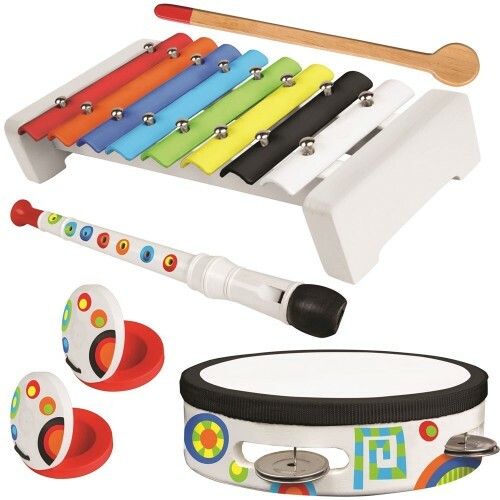 This beginner band set features a metal and wood xylophone with 2 mallets, colorful tambourine, and 2 confetti themed castanets to give children a great start to learn about music. 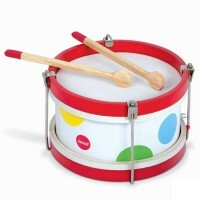 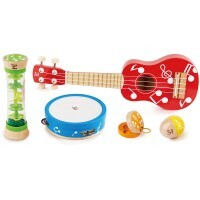 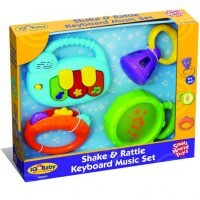 My Music Band Set 3 Toy Musical Instruments Set is an excellent musical toy for any kid with a love for rhythm! 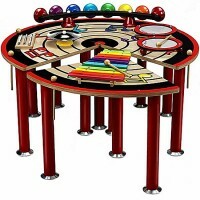 Educational Toys Planet gives these children musical toys to young musician so that they can have a great start to their musical career. 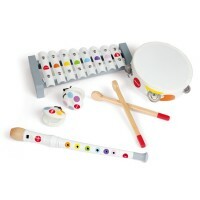 Get ready for some rhythm learning and music performing fun with this 3-in-1 musical instruments set! 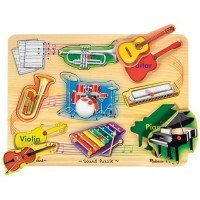 Dimensions of package 5" x 4" x 4"
Write your own review of My Music Band Set 3 Toy Musical Instruments Set.